Difficult times have struck in the economy and this means our pockets have felt the nail-tipped pinch. Everything has become increasingly expensive, and financial troubles have become the norm. Seemingly, the debt man is putting in overtime at the gym – he is now bigger and scarier than ever. Many people are in denial about their financial situations and only realize the extremity when the red taped letter is slotted through the post box. The dreaded ‘private and confidential’ letter, often leaves people so stressed that they ignore the letters and their financial situations, which leaves them in worse off positions than they were before. Understanding the causes of debt? It is no secret that in today’s world you are considered not to be living if you are not living lavishly. Social media platforms like Instagram, have created trends like #FlexForTheGram, which entails uploading pictures and videos of oneself splurging money on clothes, entertainment, and cuisine – all in the name of getting likes and followers. This in turn means a lot of the younger generation are spending large sums of money, that they don’t have on a lifestyle that they can’t afford. Loved ones can be the biggest contributors to our financial stress. As soon as there is an extra income in a household or within a group of friends, there is a shift in the spending dynamic. Family and friends make assumptions about how much you ‘should’ be earning and pile on the pressure. Suddenly financial responsibilities are significantly increased and they do not understand when you voice that you are unable to take on the burden. We are subsequently forced into debt to keep up with family demands and peer pressure. One of the most frustrating causes of financial crises, is what financial service providers call “good credit”. Basically, in order for you to successfully take out a loan or buy big ticket items, like furniture, you must have a good credit record. Financial service providers advice; the best way to get a credit record is by obtaining a clothing account, which in most cases leads to habitual credit purchases and ultimately debt. Debt is no longer associated with irresponsible people as it was in the past. Today, anyone can fall victim to the overly-enthusiastic debt man, who is always ready to show how many victims have fallen to his muscles. That is why it is important to be knowledgeable about what to do when you find yourself in debt. We need to move away from avoiding debt letters. Upon receiving the letter, we are immediately panicked, instead we should start treating debt letters as greeting cards from the debt man, letting us know he is in the neighbourhood. By acknowledging debt letters, we concede that we may possibly have a problem and as with any greeting card, it is only polite to reply. Once you have paid the debt (or are making means to do so), write back explaining your situation, this will help you avoid further stress and legal action. This is a two-step process. Firstly, it involves seeking help from an individual to review your spending habits and the drafting of a spending plan within your budget. The second step focuses on being proactive on the spending plan, doing the actual work to get you out of debt. 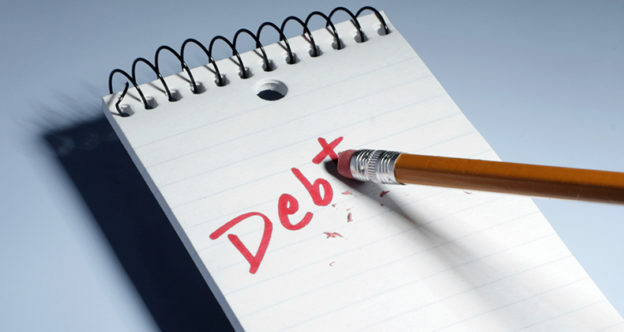 Admitting to being in debt is difficult and can be embarrassing, however it is essential to acknowledge the situation and address it before it gets out of hand and find yourself in legal battles and blacklisted. Debt review: is the process whereby a debt counsellor assesses your debt and conducts a solid debt repayment plan. This will be done through the process of renegotiating interest rates with loan providers in order to reduce them, as well as by amending the debt repayment policies. Sequestration: Through this process, the applicant’s debt is written off, but, it doesn’t mean a payments will cease. The insolvent party’s assets are sold and the debt paid. This entry was posted in Debt on August 23, 2018 by Jane Walter.